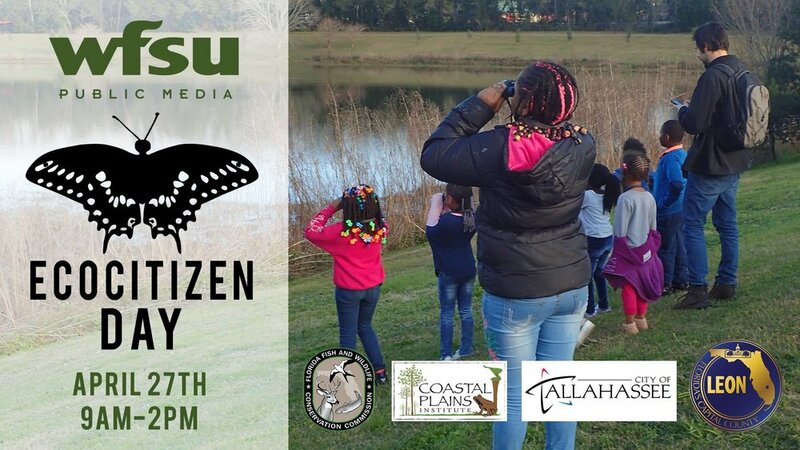 EcoCitizen Day: A City Nature Challenge Event — Proof Brewing Co.
Join WFSU Public Media, Florida Fish and Wildlife Conservation Commission, and Coastal Plains Institute for EcoCitizen Day, a part of the 2019 City Nature Challenge! On April 27th at 4pm Proof will be selling a limited featured pint glass. Purchase of the featured glass gets you a fill of a specialty beer called Sonicated (made with local blueberries from Jubilee Orchards) and proceeds of the sale will go towards the Coastal Plains Institute. Glassware is limited (around 50) and first come first serve. On EcoCitizen Day, we're hitting up city parks and the Apalachicola National Forest. But you can make observations in your own backyard. As part of the WFSU EcoCitizen Project, the WFSU Ecology Blog will have content on gardening for wildlife in Florida, and we're providing free pollinator flower seeds. By selecting the right plants, you'll see more birds, butterflies, bees, and more. They're fun to have in your yard, and you can observe them using iNaturalist.